Welcome to the Cymbiosis website! If you have not visited us here at Brook Park before, we would advise you to look at our “Find Us” page as many sat navs will mistakenly take you into Rearsby village. We have written detailed instructions, including photos, to enable you to have a stress free journey to Cymbiosis. Why not also visit our eStore, which allows you to purchase selected items directly from Cymbiosis online. We would like to inform all our customers that this year, Cymbiosis will be open for business as usual on Good Friday 19th April 2019 and closed on Easter Monday 22nd April 2019. We will be open as usual on Saturday 20th April 2019 and from Tuesday 23rd April 2019. Peter has taken off on his travels again, this time visiting a number of regular clients in both Kuala Lumpur and Singapore. As well as attending to the usual collection of Linn Sondek LP12s, he was also called upon to configure an active Naim Allae system, install a Naim Aro LP12 into a Linn Exakt sytem and sort out a classic Linn/Naim six pack Isobarik active system. Peter Swain is the owner and founder of Cymbiosis. 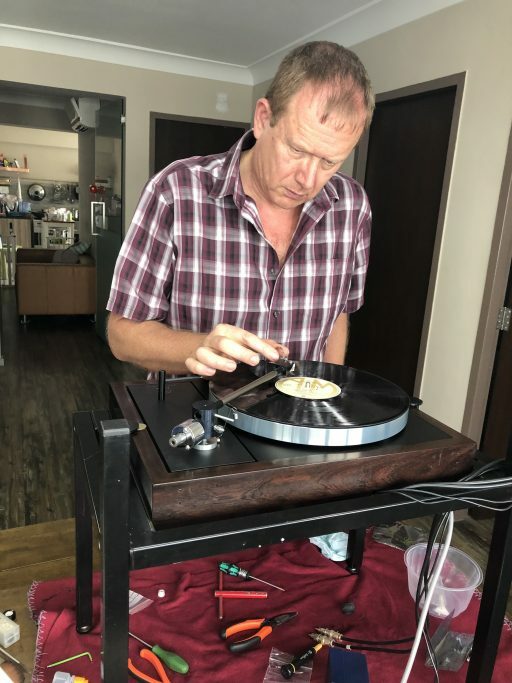 He has been in the Hi-Fi Industry over 35 years and spends much of his time tweaking turntables, setting up systems and is involved with every part of Cymbiosis life. Phil has been involved in electronics retail for most of his life and has been a member of the Cymbiosis team since 1990. Phil specialises in digital streaming and networking solutions and is also one of the Cymbiosis webmasters. Wayne Joined the Cymbiosis team in 2005 and he oversees the service department, Used and Ex-demonstration stock as well as general sales. Wayne also deals with all of the domestic and international shipping here at Cymbiosis.